A twenty five unit apartment building and retail with six parking spot is planned for 9035 35th SW. This illustration is an artists conception of the proposed structure. 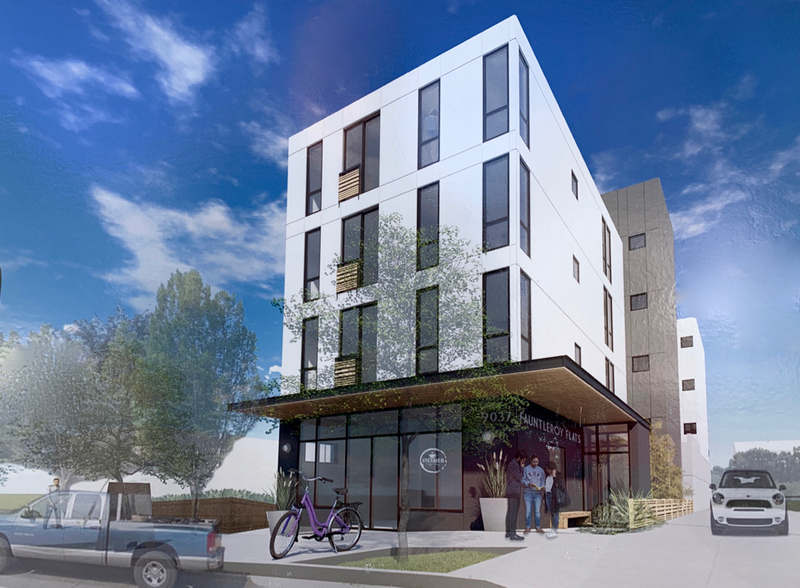 A Land Use Application has been filed with Seattle's Dept of construction and inspection to allow a 4-story apartment building with 25 small efficiency dwelling units and retail at 9037 35th SW. Parking for 6 vehicles proposed. The Existing building would be demolished. It is project number 3032402-LU. The comment period ended March 4. SEPA Environmental Determination (This project is subject to the Optional DNS Process (WAC 197-11-355) and Early DNS Process (SMC 25.05.355). This comment period may be the only opportunity to comment on the environmental impacts of this proposal.